Jay Vincent (Instagram/Facebook) is a High Intensity Training instructor operating his studio, 2020 Fitness, out of Albany, New York. 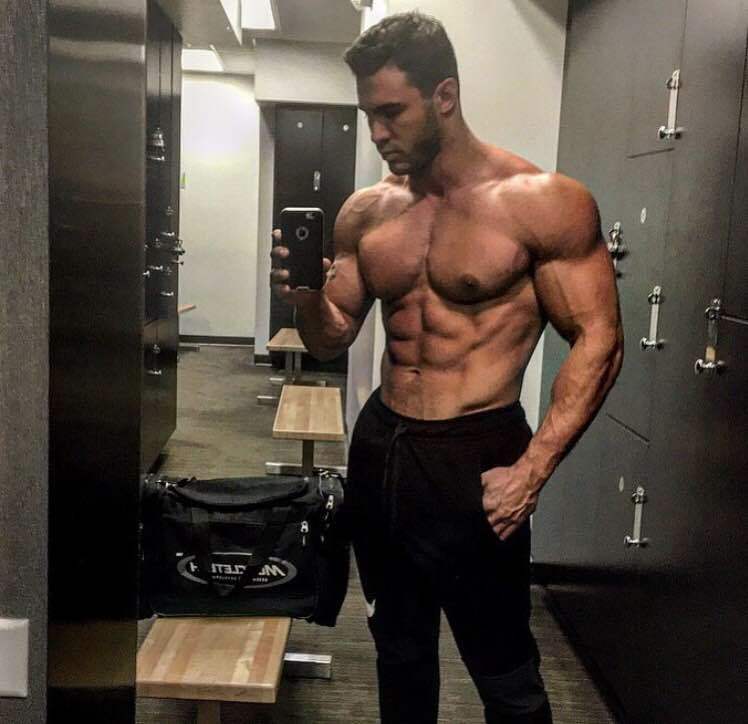 He’s also a professional fitness model and sponsored MuscleTech Athlete and modelled for popular athletic clothing lines such as Under Armour and appeared in small acting roles for Amazon.com. Jay’s MuscleTech ads have been featured in many popular fitness magazines including FLEX, Muscular Development, Muscle and Fitness, FitnessRx, Ironman and more. When he can find the time, Jay loves to answer your questions via Jayvincentfitness@gmail.com and also offers distance coaching services. Jay was an incredible guest. If you love HIT or just want to optimise your training, diet and habits for you and your clients, you will love this! Each exercise is done with a 5-10 second lifting phase and 5-10 second lowering phase. 1 set of each exercise to muscular failure. Using a slow rep cadence allows you to eliminate momentum and let the muscle do all of the work along with maximizing muscle fiber recruitment. It’s not about the exercises you do or how often you do them. It’s HOW you do them – intensely. Same cadence, single set to failure principle as above. Exercise bell curve (Non-responders on the far left, average responders in the middle, strong responders on the far right). What did you find most profound in this interview? Post your comment below! Loved the podcast! Wish you talked more about the diet portion as well. Something for round 2! Cheers Rohit! There didn’t seem much to it re diet. Jay eats the same things all the time, Ha! There may be a round 2 at some point. Who knows. Dude…epic interview!! How have I not heard of this guy before? Unfortunately in the fitness cybersphere you often get (with a few obvious exceptions) super-dorks (I say that with the maximum possible respect) who look like they wouldn’t be able to bicep curl a lamb chop, or super-jocks who sound like they need to be hit on the head with a hardback book. Jay seems to be a rare combination of the two, following in the Jones-Mentzer-McGuff school of mixing brains with brawn. Will definitely keep an eye out for more from him. Thanks Tom! I agree that Jay is an unusual member of the evidence-based exercise club. It’s comforting to see others carrying on Mike’s legacy. Turning their backs on senseless dogma. I agree Kevin :-D. Important lessons to be learnt! Although I love HIT, I have yet to see a guy going from normal to jacked using HIT. 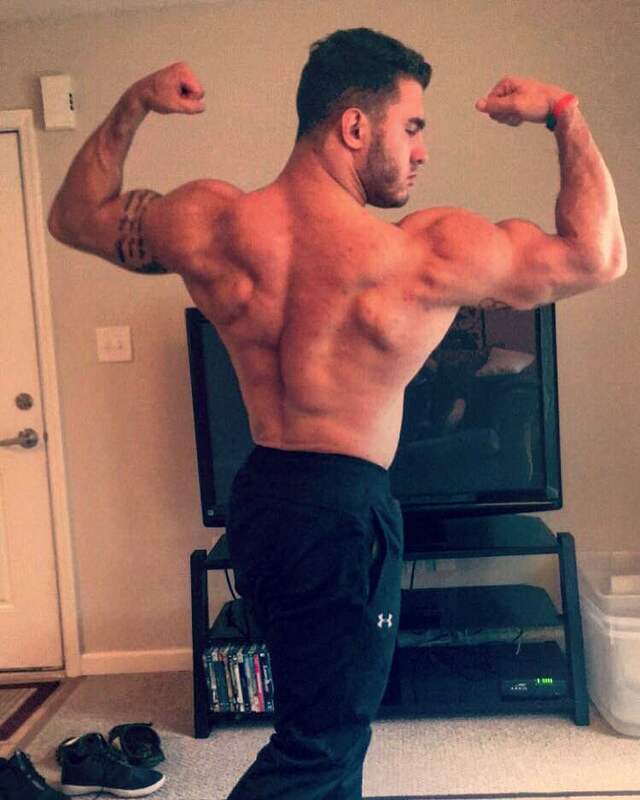 As always he’s good amazing genetics, is a fast responder and has been through regular bodybuilding before doing HIT so it doesn’t count for esthetics. I’d have to disagree. It’s hard to believe that if “regular body building” produced his results then why would HIT retain them. Jay has been doing HIT for going on 10 years now. He’s a very rare case of someone who is blessed both physically and intellectually, particularly in terms of having a very objective view of exercise. I agree, this is one of the best podcasts so far on the topic of HIT. Jay is quite articulate, surprisingly for someone with this physique and this young. I hope he inspires scores of millennials. Great interview guys! Many thanks for great work!! Love it!! You’re welcome Guilherme. Glad to learn they are useful. ??? ?